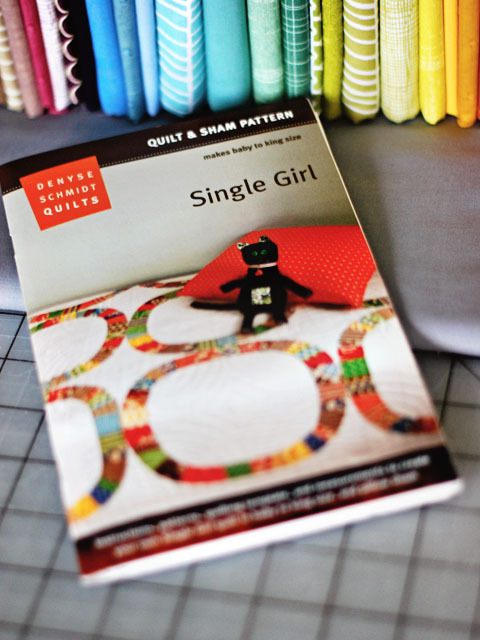 Bijou Lovely: single girl quilt fabrics. 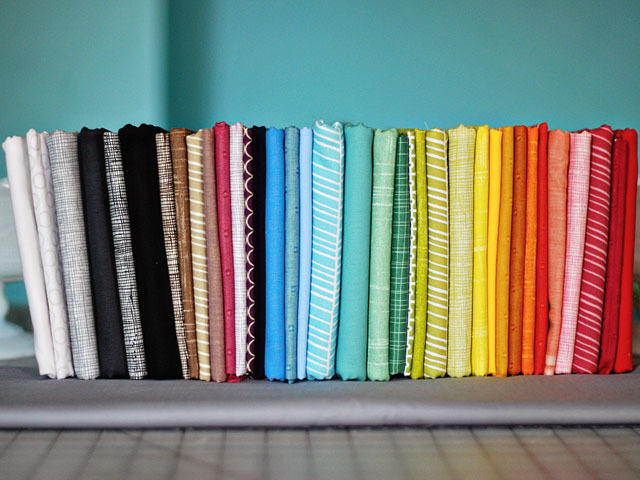 7 single girl quilt fabrics. Have you heard about the Single Girl Support Group yet? I bought this pattern sometime last summer, and had yet to even open it before today. I started seeing everyone's posts about their fabrics and progress and decided this would be a good time for me to join in! I picked out my fabrics today and now I'm trying to figure out where to get template plastic in this town. I'm going for mostly solids and almost-solid fabrics for the rings, with Kona Medium Gray as the background. I haven't quite decided on the size yet, I'll probably start with a baby quilt and see how it goes from there. I would love to have a king size quilt for our bed but I am just not sure I have it in me! 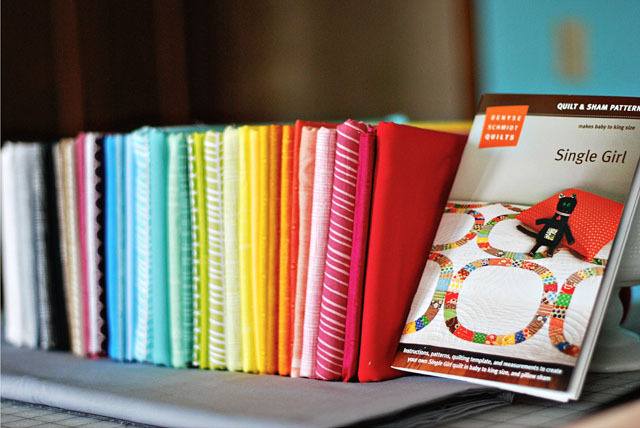 I'm really looking forward to getting started on this quilt! I'll keep you posted on my progress, but I'm sure it will be slow going. I made my templates by photocopying the pattern sheet and sticking the photocopies to thin cardboard - it's actually pretty robust, and I reckon it'll stand up to being cut out! Your colour selection is absolutely beautiful, can't wait to see this come together. Gorgeous colours you picked out. The grey background will really make them pop. Good luck! i hate throwing away the tiniest scraps, too! i keep them for using as stuffing! your single girl colors are my favorites of all. If you're going to make a wheel, the color wheel it is!